CitiCar Gold Coast Airport Transfers guarantees affordable, reliable and professional airport transfers from Coolangatta Airport to the Gold Coast. Whether you are heading to the Gold Coast for business or pleasure, opting for private transportation to take you to your final destination will ensure that your stay is as relaxed as it can be. There are plenty of benefits to be enjoyed when you hire a chauffeur driven vehicle, and because the CitiCar booking service is so streamlined and accessible, your visit to the Gold Coast will be that much more rewarding. Here are just some of the benefits you will enjoy when you organise a professional Gold Coast airport transfer to transport you to and from Coolangatta airport on the Gold Coast. When you are organising a visit to the Gold Coast, planning ahead to secure yourself a Gold Coast chauffeur driven car is going to give you peace of mind. Before you arrive, head to CitiCar’s online booking platform or give us a call. By choosing a vehicle from the available fleet that best suits your travel requirements, and locking in the date and time of your arrival, all you need to do is enjoy your flight and let the transportation be managed for you. Hire car bookings with a private driver can be one way or return – it’s your choice. CitiCar Gold Coast Airport Transfers prides itself on ensuring that the service you receive is seamless and completely professional at all times. Whilst you are in the air, enjoying a movie, catching up on work or engrossed in a novel, the team on the ground are monitoring your flight path and are in constant touch with your driver to ensure that they are at the airport well before you land and ready to greet you. Nothing is left to chance, which is your visit to the Gold Coast will get off to a great start. And because CitiCar guarantees transparent fixed prices for all bookings, you will already know what the cost will be; no nasty surprises. CitiCar’s professional Gold Coast chauffeurs look forward to meeting all domestic and international visitors to the Gold Coast. Domestic passengers, arriving on Jetstar, Qantas, Virgin Blue or Tiger Airways flights will be met near the baggage carousal, inside the domestic terminal. Drivers will organise a luggage trolley and help with luggage collection too. In fact nothing is too much trouble. Visitors to the Gold Coast arriving on international flights will be met outside the custom exit doors and all efforts will be made to ensure needs are met and luggage is collected without effort. Arriving in a foreign country can be rather stressful particularly when there are language barriers and there is a need to navigate unfamiliar streets or explain to a taxi driver where you need to go. A CitiCar Gold Coast airport transfer driver has your destination already planned and knows the most appropriate route to travel to avoid the Gold Coast’s rush hour. They will also have a number of alternative routes ready to take should traffic delays cause any concern, making sure you arrive to your meeting or workshop on time. What more could you want? Best of all, there will be no waiting at the airport for a taxi, a local shuttle bus, or needing to line up and fill out paperwork to hire a rental car. The vehicle you will have booked prior to your arrival on the Gold Coast will be waiting for you, in immaculate condition and ready to transport you to your pre-organised destination. To avoid all the hassles, book a Gold Coast chauffeur driven car before you arrive on the Gold Coast and you’ll be guaranteed the perfect Gold Coast airport transfer. When you choose CitiCar Gold Coast Airport Transfers, your private Gold Coast limousine will save you time and money. Whilst on business, you’ll no doubt be heading to a conference, a corporate gathering or maybe to your accommodation first to freshen up. With CitiCar, there’s no need to share a ride or sit on a local bus dropping other passengers at many stops along the way. You’ll be taken direct from door to door, no fuss. Whilst a local bus or charter may sound like a fun way to get to your destination on the Gold Coast, these transfer methods usually see you stopping multiple times along the way as passengers are dropped to their hotel or one of the area’s attractions. And if you are staying at the Hilton in Surfers Paradise or even further still at an apartment in Main Beach your trip will be that much longer. When time is of the essence, a direct route is definitely the best option. Better still, because CitiCar Gold Coast Airport Transfer offers a range of vehicles in different sizes and styles, you can enjoy travelling together with colleagues or business clients if you’re working in a team. CitiCar knows how important your business is and we’re dedicated to ensuring your busy schedule whilst you are on the Gold Coast is met with minimal fuss. Your trip from the airport and back again can be as productive as you want it to be. Travelling in complete comfort, you can use the 35 min travel time during your Gold Coast airport transfer to sit back and relax, to catch up on any last minute important phone calls, read a book, or prepare for your next meeting. In fact, because you are in a private Gold Coast limo, you can even ask for a scenic route so you can take in the sights and sounds of the Gold Coast all the way from Coolangatta airport, via Broadbeach to Surfers Paradise. Instead of worrying about any transportation issues, you can let your chauffeur navigate traffic and find the right park. All you need to do is wait to be delivered to your destination in comfort, unhurried and completely ready for what your agenda holds for the day. CitiCar’s premium service is not limited to Gold Coast airport transfers. The team of professional drivers have an intimate knowledge of the Gold Coast and the local attractions, so if you want assistance getting around town, all you need to do is ask. Depending on the length of time you are on the coast, there are plenty of fun activities to enjoy, like world class theme parks including Movie World and Dream World, and plenty of natural, scenic walks and views. And when the sun goes down, your Gold Coast chauffeur can transport you to Jupiter’s Casino for a night out, for a fabulous meal along Tedder Avenue in Main Beach or simply drop you off at the beach for a relaxing stroll along the foreshore, allowing you to take in the sea breeze and browse the local night markets. Travel in comfort with personal space during your entire stay on the Gold Coast. The CitiCar fleet of vehicles are all immaculately maintained and serviced with your safety in mind. All Gold Coast chauffeur driven cars are air-conditioned, spacious and fit for purpose. Whether you are in one of CitiCar’s sleek BMWs or a large people mover, you’ll never be disappointed. Corporate clients can also take advantage of the benefits of a corporate account which not only guarantees fixed prices for all trips, but allows all members of an organisation to use the flexibility of one central account and a simplified booking system. Travelling for business can be stressful enough without worrying about transport, so let CitiCar’s qualified chauffeur drivers take control of your Gold Coast airport transfers and pick you up from the Coolangatta airport and take you wherever you need to go. And when it comes time to head back home, you can rely on your pre-booked car to collect you and ensure you arrive at the airport with plenty of time to board your plane. 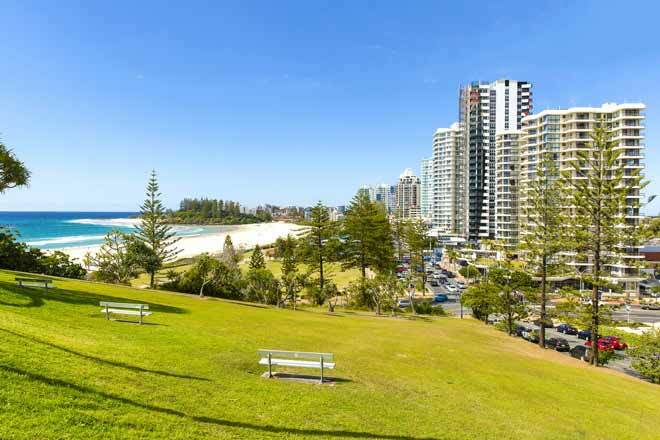 The Gold Coast has so much to offer and you’ll be able to make the most of your short, or extended trip without having to worry about navigating the busy streets of Coolangatta or Surfers Paradise. And if you are travelling in a group, or with clients, taking advantage of a larger vehicle allows you to all travel together, arrive to a conference or place of meeting at once and spend as much time as you can to achieve the goals you plan to tick off. CitiCar has the perfect fleet of cars suitable for all Gold Coast airport transfers. Whether your trip to Queensland is for business or a chance to soak up the atmosphere and relax on the beach with family and friends, there really is only one way to ensure your visit is as comfortable and hassle free as possible. Travelling in and around the Gold Coast with CitiCar is so easy. You’ll never have to worry about your transportation again. 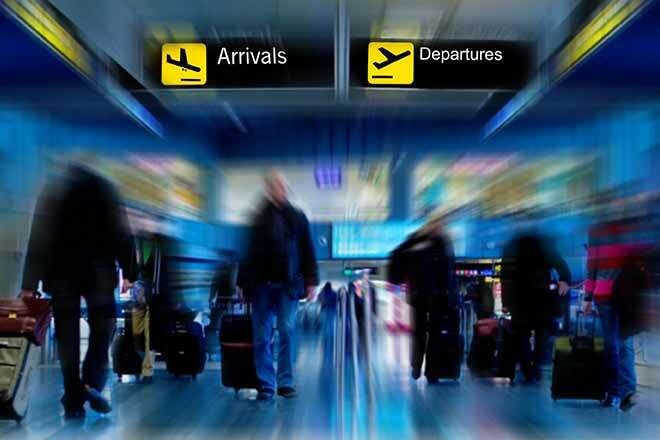 Contact CitiCar today for convenient airport transfers on the Gold Coast. CitiCar can take you to and from the airport, direct to your hotel or conference venue. Book Gold Coast Airport Transfers with CitiCar today!